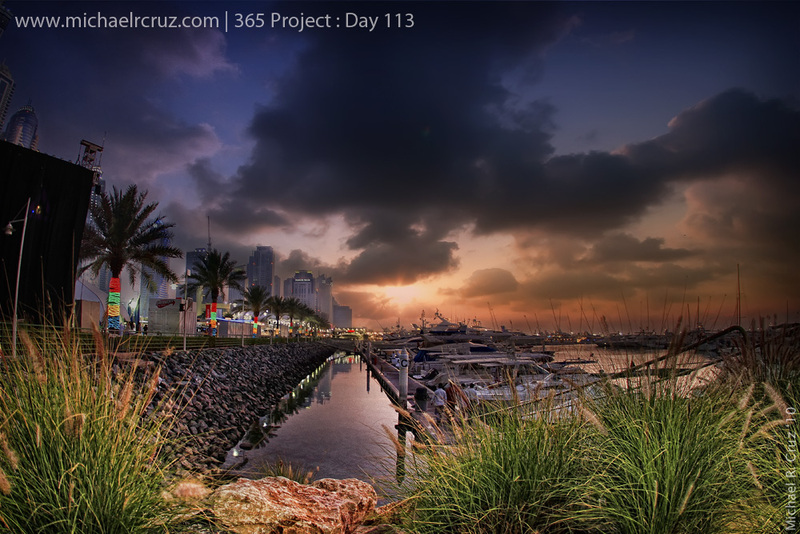 Taken at Dubai Marina at Sunset. This was taken using a fisheye lens, the good thing about the fisheye is that you can get a straight horizon if you wanted to, it’s all about how you angle that lens. I never thought I’ll use my fisheye this frequent, since a lot of people says you will only going to use it rarely, I beg to disagree; Fisheye lens always stays in my carry around bag.